Edisyn is a music synthesizer program (or “patch”) editor library which enables musicians to easily edit and manipulate a variety of difficult-to-program synthesizers. Edisyn sports a first-in-class set of tools designed to help explore the parameterized space of synthesizer patches without needing to directly edit the parameters. This paper discusses the most sophisticated of these tools, Edisyn’s Hill-Climber and Constrictor methods, which are based on interactive evolutionary computation techniques. 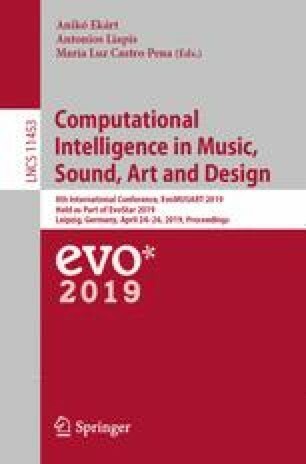 The paper discusses the special difficulties encountered in programming synthesizers, the motivation behind these techniques, and their design. It then evaluates them in an experiment with novice synthesizer users, and concludes with additional observations regarding utility and efficacy. My thanks to Vankhanh Dinh, Bryan Hoyle, Palle Dahlstedt, and James McDermott for their considerable assistance in the development of this paper.